When it comes to laser eye surgery, experience counts. Ophthalmologist Sonny Goel has been performing laser vision correction procedures since 1997, a full year before the FDA first approved an excimer laser for use in LASIK. 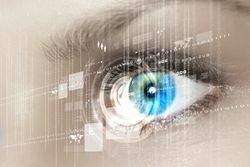 During that time, he has performed more than 70,000 LASIK procedures, establishing such a high standard of quality and success that he has been named one of the Best LASIK Surgeons in America by Southwest’s Spirit Magazineand is included in the exclusive Trusted LASIK Surgeons Directory. At his laser vision correction center in Baltimore, LASIK results are considered good only if the patient is fully satisfied with his or her results. Even by that high standard, Dr. Goel’s success rates compare favorably to the national averages among LASIK surgeons. Over the years, he has consistently integrated new, more effective technologies and techniques into his practice as they have become available, helping to ensure that he remains at the forefront of his profession, to the benefit of his valued patients.